It’s 2012 (Happy New Year!) and time for a fresh start. 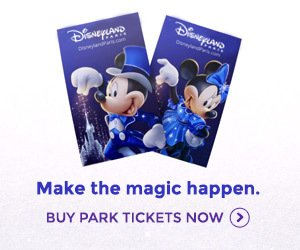 For Disneyland Paris, that appears to mean several key elements of the current Disney Magical Moments Festival, marketed to run until 4th March 2012, will be cleared out early. Rumours long suggested the main Mickey’s Magical Celebration show on Central Plaza would face an early finish, due to the much detested Central Plaza Stage finally being ripped out, opening up the hub of the park ready for Dreams. Now, here’s the confirmation: no performances from 9th January onwards! In truth, the show has had a lukewarm reception ever since last April. Notably lacking the grander spectacle of the previous Disney Showtime Spectacular, it wasn’t quite the kind of production to justify such a monolithic stage to take over the heart of the park. Initially it seemed the four large satellite “arms” of the stage might be lopped off, but now the whole stage is said to be for the chop. For stage shows, this means any future open-air productions will (quite rightly) be on the Théâtre du Château where they belong. For new nighttime spectacular Dreams, the rumour mill is still pumping: Will the removal of the stage open up the area purely for more standing room again, or could the hub become part of the show? One particularly fun (if purely fabricated) rumour is for a “magic” dancing fountain to take the place of the former flower bed. To be honest, even being able to walk across and use the plaza as a “hub”, rather than an impermeable roundabout, seems an exciting prospect at this point. Surprisingly, this show isn’t the only “Magical Moment” preparing for early retirement. It will be joined on 9th January by Disney Dance Express, the garishly-coloured dance show which reused the old Dumbo Casey Jr. parade float. Could this, the float’s fifth iteration since its launch as part of The Wonderful World of Disney Parade, be its last? Meanwhile, the Green Army Men Meet & Play event over in Toy Story Playland will also end on the same date and, as reported earlier, the first float will be removed from Disney’s Once Upon a Dream Parade for its “Magic on Parade!” makeover. Making it all the way to the 4th March end date, but not continuing beyond that date, will be the “interactive” show stops of Disney’s Once Upon a Dream Parade, the temporary Tangled meet ‘n’ greet location for Rapunzel and, surprisingly, the small Following the Leader with Peter Pan show in Adventureland. That event was perhaps the most appreciated of all the new “moments” in 2011. For Rapunzel, we must presume she will simply join the other princesses in the new Princess Pavilion. Finally, continuing into the 20th Anniversary are the many photo locations which popped up around the parks: Wall•E and Eve in Discoveryland, Alice in Wonderland near the Labyrinth, Aladdin near Adventureland Bazaar, Ratatouille near Restaurant des Stars and Monsters, Inc. in Toon Studio (which, added in 2006, was never “new” for 2011 to begin with, but never mind). Lighting McQueen will remain in his Moteurs… Action! Stunt Show Spectacular cameo and the new Adventureland Rhythms of the Jungle location next to Restaurant Hakuna Matata will remain the home of the popular Tam Tam. At last we can see our Hub back to the way it used to be, huh! That old Hub with a majestic look at the castle filled with American music from Main Street and pure magic such as the Band and the Dapper Dans, Paris romance rather thanf noisy shows with poor budget. Agree? Hooray! Finally that stage is going. Don’t get me wrong, it was great to have shows in front of the castle like that but that stage was way too high and too big. It took away from the feeling of how the park used to be. And Mickey’s Magical celebration, i am definitely happy to see that gone. It was such a let down compared to shows of previous years. I’m glad the big stage is going.